DWC (Dual Window Couplers) or fiber optic splitter, are Single Mode Splitters with a defined split ratio from one input fiber to 2 output fibers. Dual Window Couplers are availble with 900µm loose tube singlemode fiber or 250µm bare fiber and terminated or unterminated as per your needs. Unconnectorized Dual Window Couplers come with no connectors for easy splicing or connectorization. 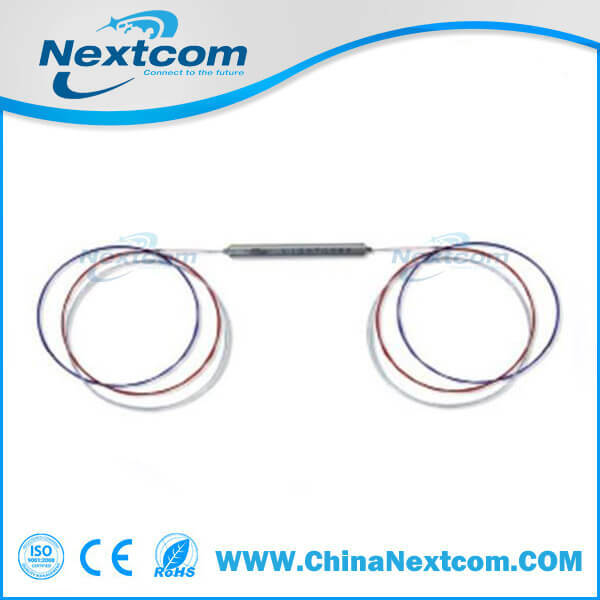 Connectorized Fiber Optic Splitters are available with your choice of Fiber Optic Connectors: LC/UPC, LC/APC, SC/UPC, SC/APC, FC/UPC, FC/APC, and ST/UPC. Available split ratios: 50/50, 40/60, 30/70, 20/80, 10/90, 5/95, 1/99, 60/40, 70/30, 80/20, 90/10, 95/5, and 99/1. In 1×2 or 2×2 splits.